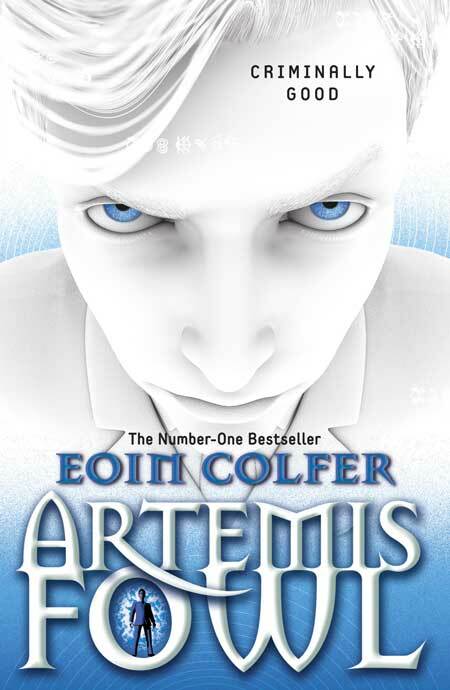 Artemis Fowl: Bad Boy, Awesome Boy, Genius; both him and the book, from the first sentence I was confined by Time-Stop towers and within hours had finished the epic novel. It is most definitely one of the best books I have ever read, gripping, intense and powerful, it blew me away. I’ll give it to Colfer, he has an amazing imagination, and the description was fantastic, I was right in the book. I’ll start off with the basic plotline which in, there is a boy. His name is Artemis Fowl, he has a missing/dead father, and mental mother and is... I suppose a good AND evil genius. It all depends on whose side you’re on. The Fairies or Artemis’s. Anyway he wants Pixie Gold and will stop at nothing to get it. The first chapter draws you in instantly as it opens into a city in the Underworld. It then moves onto Holly, an Elf driving a fantastical new creation of mechanical wings. I have to admit that I am a sucker for anything unreal so the hook had caught me. Artemis is a Regular Teenage boy and when Boys of his age read the book (meaning myself) they will relate to him in many ways, and also look up to him and want to be him, living a life of adventure, magic and well... no school! I sure wanted to be him. My favourite parts would have to be where Holly is captured, that is a very intense moment and I was in Limbo with whose side to take. Holly because I didn’t want her to be hurt (cheesy, I know), but Artemis because the curiosity got the better of me. Another of my favourite parts was when the Fairies realised that Artemis had survived the Blue Rinse, and I nearly cracked up imagining the look on their faces. Lastly I actually did crack up when Mulch Diggums let off a fart and sent everything flying including Butler. My favourite character was both Artemis and Holly. They are both complete opposites and you know what they say: Opposites attract. No really I think they would be great together. To start with Artemis is very cool and quirky and has an edge to him whereas Holly seems to be very domestic but can pick a decent fight when she needs to. The thing that fascinated me was all the amazing Equipment in the book, from the wings to the Bombs. To create stuff like that Colfer must have an awesome imagination. My favourite device was the Iris cam. I mean how cool would that be! Never have to get a camera and miss the moment. Just catch it all on your Iris Cam. Not that this has any relevance, but the new cover is Gorgeous. I adore it along with the new included graphic novel excerpt at the back. Honestly I loved the book. It was fantastically written and kept me going page after page, the thrill and adventure was like a disease. I will be reading the second one as soon as I get my hands on it, but this is one of the BEST books ever!